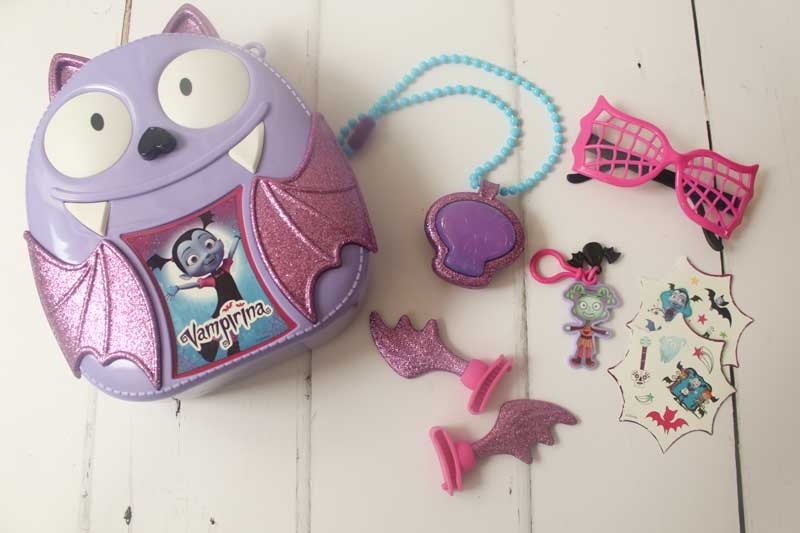 We were recently sent some of the fabulous new toys which were based on the Disney Vampirina cartoons. Amelia adores this kind of thing as its vampires and well she is a little zombie and all things dark obsessed. 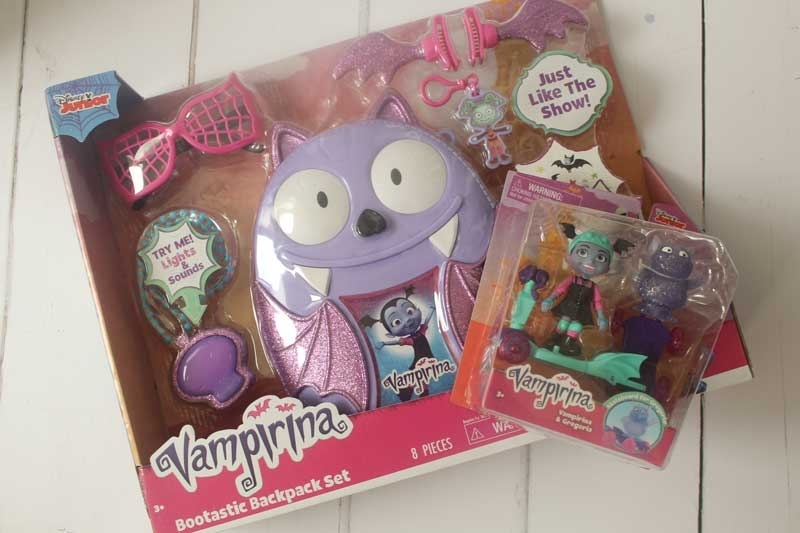 Within the Bootastic Backpack set are obviously the back pack itself, a necklace that when pressed says phrases from the show, a keyring showing Vampirina which can be attached to the side of the backpack, hair clips, glasses and 2 sheets of stickers. The backpack is hard plastic so a little unpractical for school as you wouldn’t fit books etc inside but it could be great for nursery and a great talking point amongst little friends. 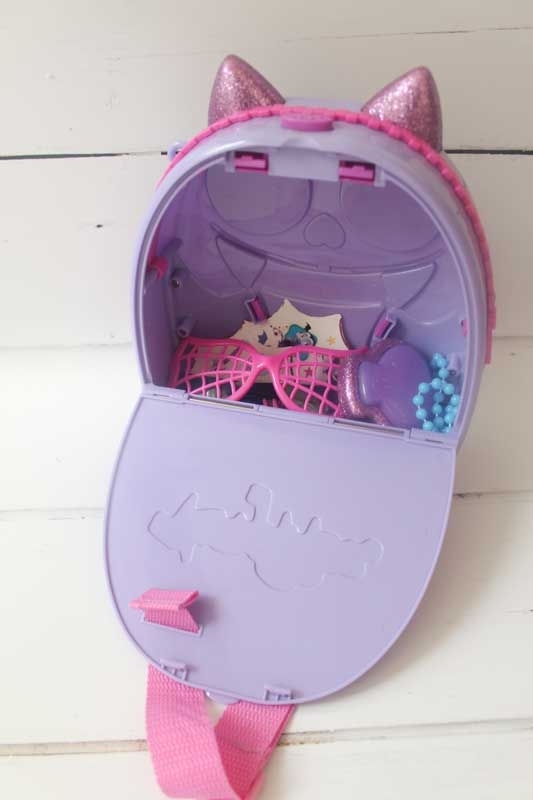 Amelia thinks its great for carrying things around the house and general play, all of the accessories that came with it can fit neatly inside too. There is more than enough space to pop extras inside too which Amelia loves as she has a teddy that goes everywhere with her and now at least we know he is safe in the backpack and not left on the bus seat or on the counter in Asda! Yes we have been in this situation many times! Overall she loves the whole set of goodies and it is a great practical gift too what with the festive season that must not be named yet is approaching quicker than I care to think about! The backpack retails for £24.99 and is available from all good toy stores. We were kindly sent this for the purpose of the review, all views and opinions are our own and genuine. This post contains affiliate links.